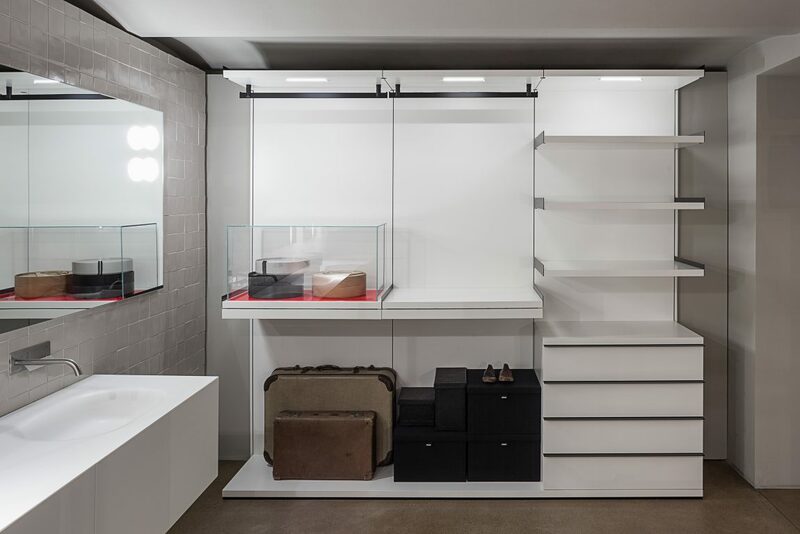 For Boffi, Beyer Roth Weis designed and curated the exhibition ‘Young Perspectives’. 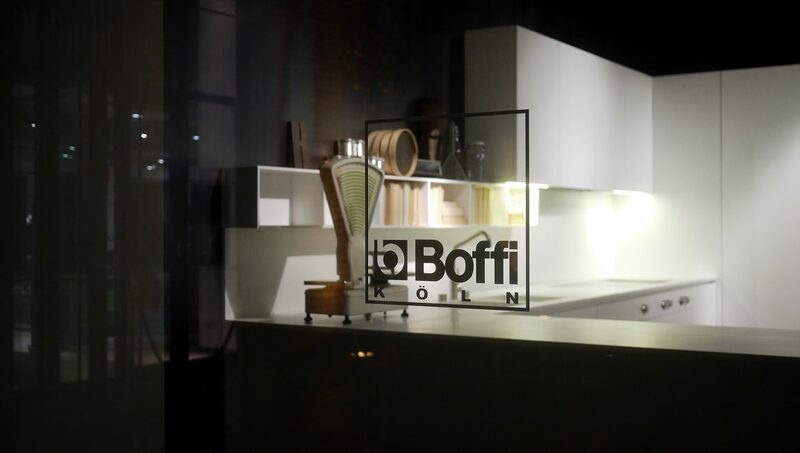 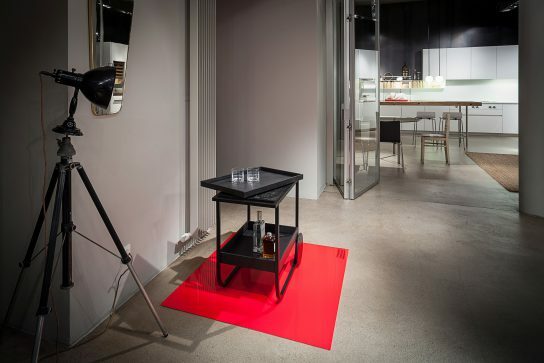 During the Passagen 2014 Boffi offered six selected designers an exhibition platform at the Spichern Höfe in Cologne. 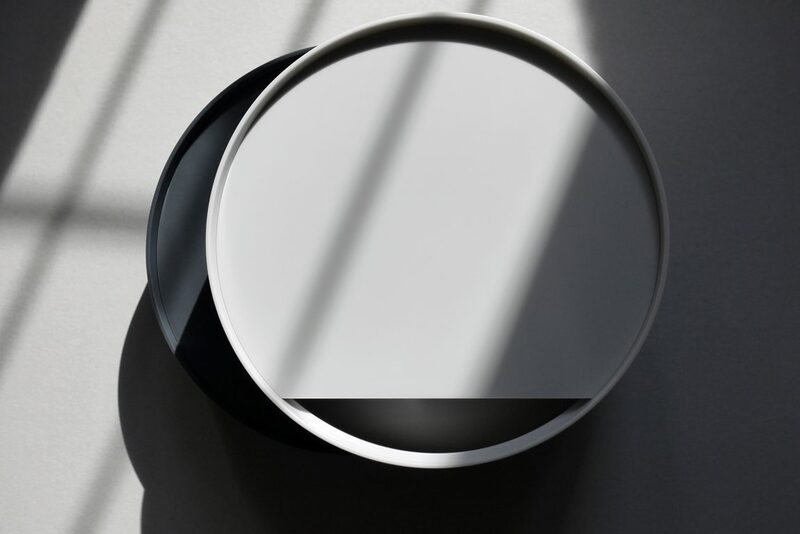 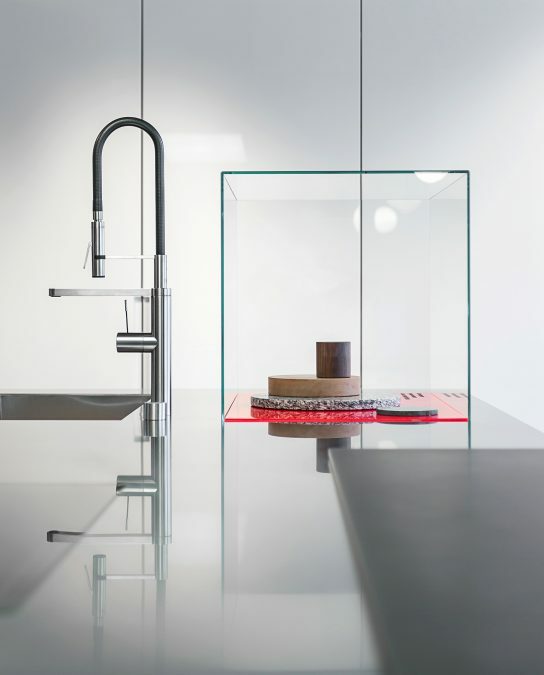 The selected designs are distinguished by their clear lines and thus fit perfectly into the puristic world of Boffi. 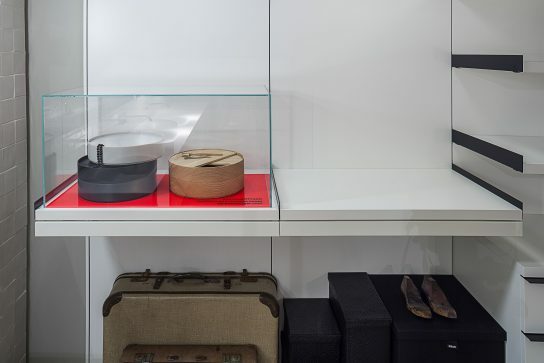 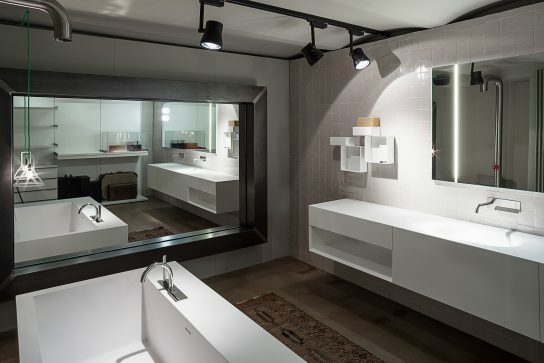 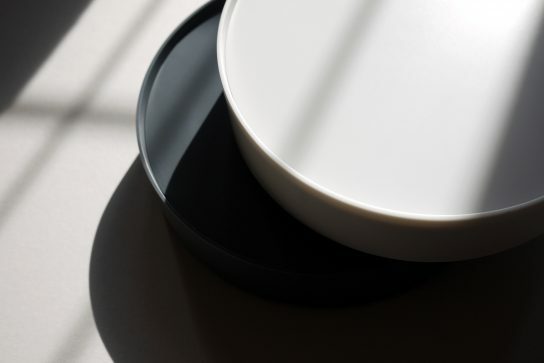 The Corian Boxes are based on the previous Woodware project and constitute an addition to it that relies on Corian as a solid surface material. 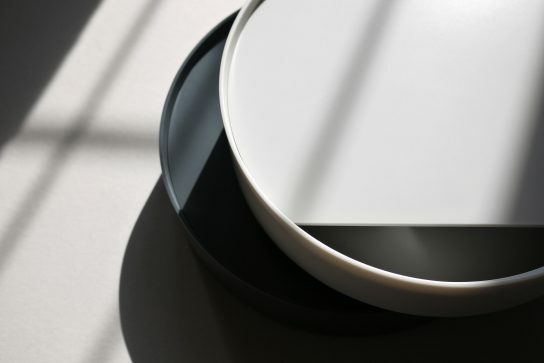 The challenge was to bend the rigid and sturdy surface material under the influence of heat and subsequently working on the details at the lathe. 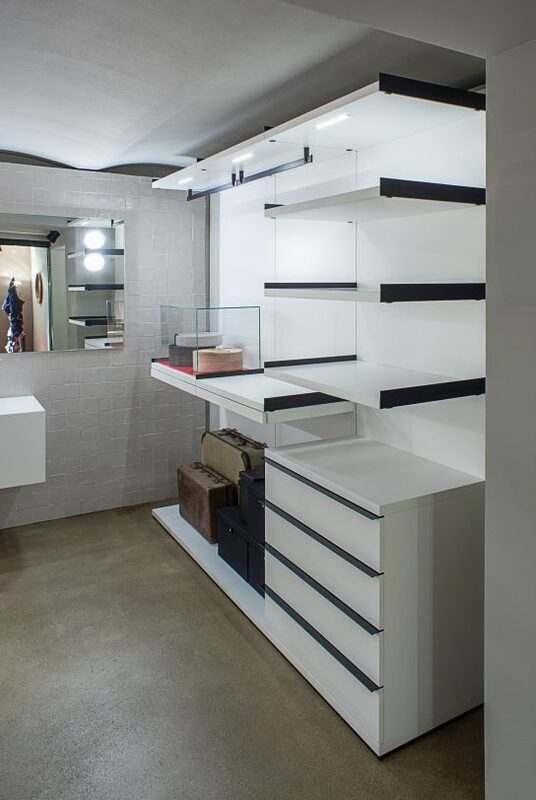 The result is entirely resistant to damp, particularly suited to bathrooms to store small things or jewellery.